Product prices and availability are accurate as of 2019-04-18 14:02:37 UTC and are subject to change. Any price and availability information displayed on http://www.amazon.co.uk/ at the time of purchase will apply to the purchase of this product. The story of the VIkings and their influence of the history of the "dark ages" and early medieval period spreads far wider than Cumbria. From Asia to Greenland their impact was felt. Anyone interested in the historical development of Northern England and the Lake District will find much of interest here. After all the Norsemen gave us our Herdwick sheep, many of our place names, our local dialect, and much more. The violent and predatory society of Dark Age Scandinavia left a unique impact on the history of medieval Europe. 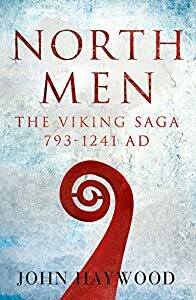 From their chill northern fastness, Norse warriors, explorers and merchants raided, traded, and settled across wide areas of Europe, Asia and the North Atlantic from the late 8th to the mid-11th century. THE VIKING CHRONICLES narrates their story focusing on places where key events were played out, from the sack of Lindisfarne in 793 to the murder in Iceland in 1241 of the saga-writer Snorri Sturluson. Such episodes are fascinating in themselves, but also shed crucial light on the nature of Viking activity - its causes, effects, and the reasons for its decline. In 800 the Scandinavians were barbarians in longboats bent on plunder and rapine; by 1200, their homelands were an integral part of Latin Christendom. 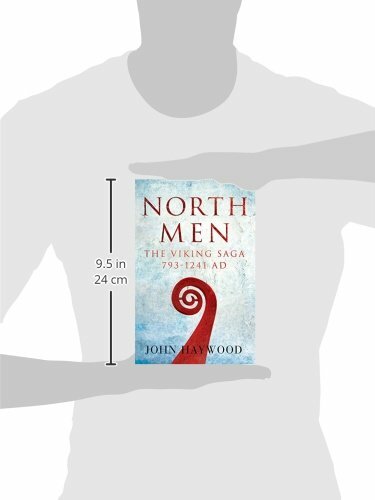 John Haywood tells, in authoritative but compellingly readable fashion, the extraordinary story of the Viking Age.